What is the Best Lens Color for Shooting? Lenses come in a huge variety of colors for prescription safety glasses; which ones are best for shooting? Many shooters will swear by the color they use, which would be helpful if they all used the same color. Some prefer a rust orange color, while others prefer an amber, and many prefer yellow. Plenty of shooters at the range have clear safety glasses. If you’re shopping for prescription shooting glasses, it can be hard to decide which lens color to go with. The fact of the matter is that different shooting glasses colors have their strengths and weaknesses. It should be mentioned that your eyes are powerful tools, and clear lenses are never a bad choice. On the same token, if you could get a lens color that enhances your shooting, why wouldn’t you? Yellow is one of the most popular colors for shooting. It enhances contrast and visual acuity while also making the surroundings appear “brighter” than when wearing clear lenses. Transitions lenses are sometimes used by shooters who shoot during the day and at night. Typically, brown is a better choice for Transitions color than gray when it comes to shooting, as brown offers better contrast enhancement and enhances visual acuity. Drivewear is an excellent choice for shooting. It is polarized and meant for daylight conditions, but it changes depending on the weather. In overcast weather, it will be a contrast-enhancing green. As the sun gets brighter, it moves towards its darkest color, a rust color that is extremely contrast-enhancing and does wonders for your visual acuity and optical clarity in bright and hazy conditions. These should only be used during the day. Orange tinted lenses are a less common choice as they are not as good for contrast enhancement or visual acuity associated with shooting as yellow or rust colors are. There are people who prefer orange though, as a personal preference. Clear lenses offer the best clarity in nighttime conditions. If you are using the shooting glasses in real-life situations when the lighting cannot be predicted, clear lenses may be your best choice. You do not want to get caught in poor lighting with a colored lens. Shooting glasses lens colors are a personal decision that is best made after experience with certain colors. Many shooters, however, have never heard of or tried Drivewear, much to their loss. So experimenting with a new pair in a new color is useful if you can afford it. 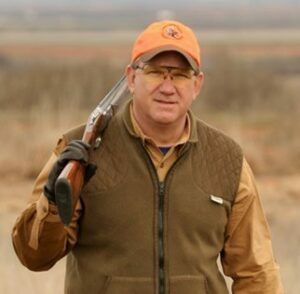 No lenses are going to improve your shooting safety as much as common sense and proper practices. If you are new to shooting and aren’t sure what you’re doing, speak with somebody who can help teach you the ropes. You may also find that your mentor has a pair of colored shooting lenses for you to try before you purchase prescription shooting glasses. If you have questions about prescription shooting glasses and which ones are right for you, please leave them in the comments section below or give us a call! We’d love to hear from you. Thanks so much for reading, and happy shooting!